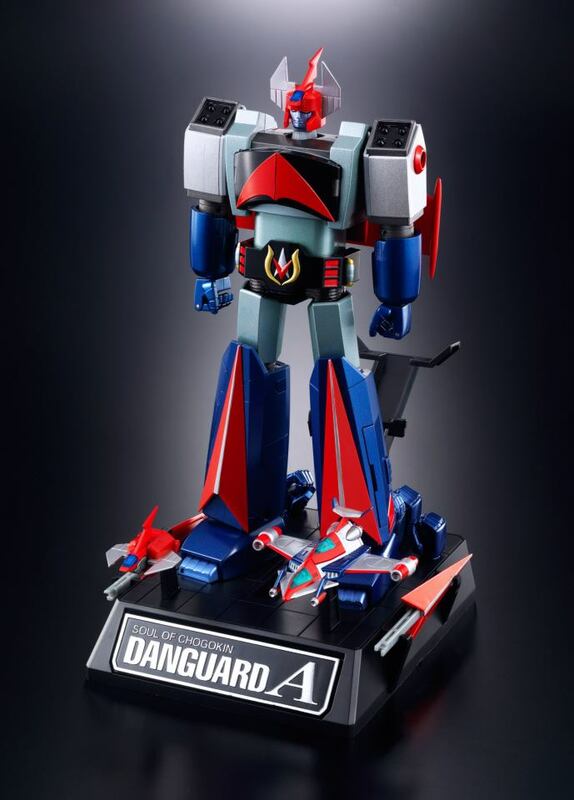 Soul of Chogokin Danguard Ace by Bandai. Due August 2013 for $129.99. 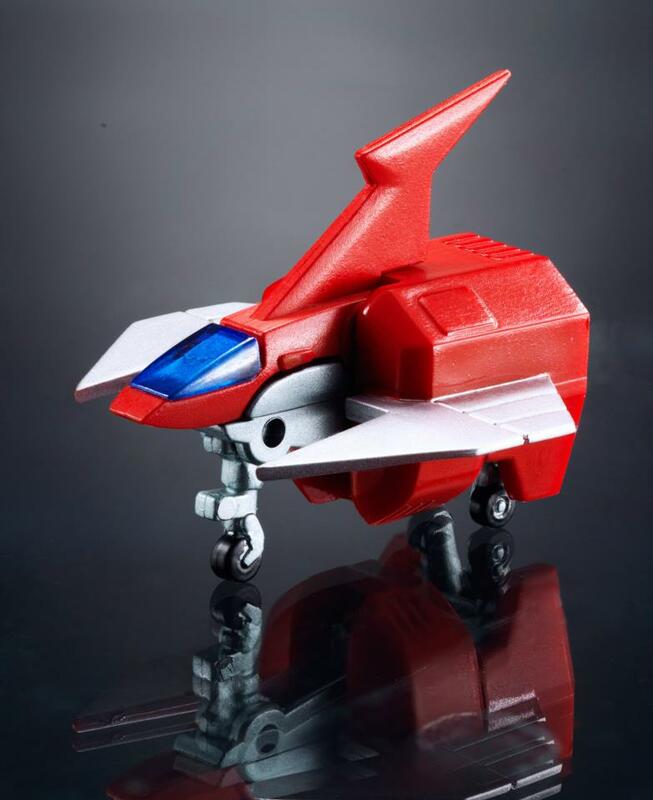 At last, the long awaited Soul of Chogokin release of Danguard Ace from the 1977 anime classic Planer Robot Danguard Ace is confirmed! 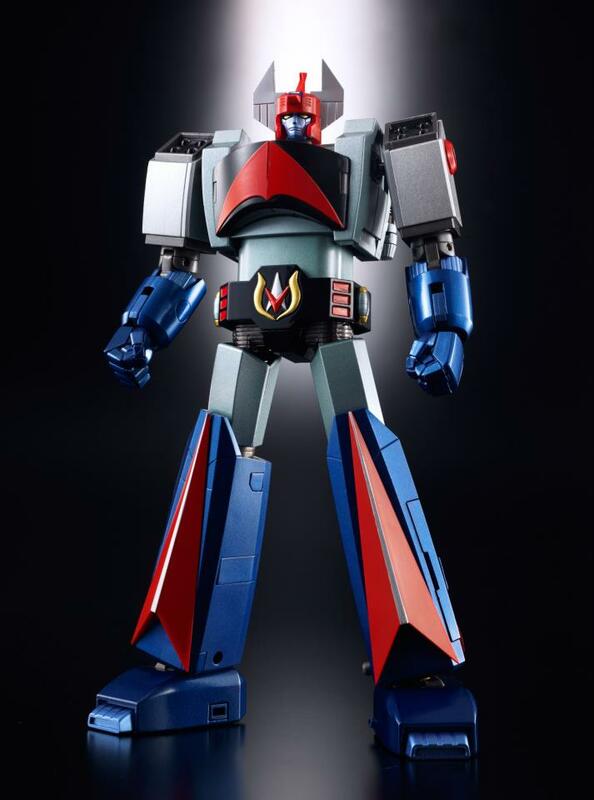 A homage to the giant robot that stands among the classics, this Soul of Chogokin release employs state-of-the-art diecast robot action figure technology to portray Danguard Ace in exquisite detail. Figure features transformation capability without compromising faithful proportion. 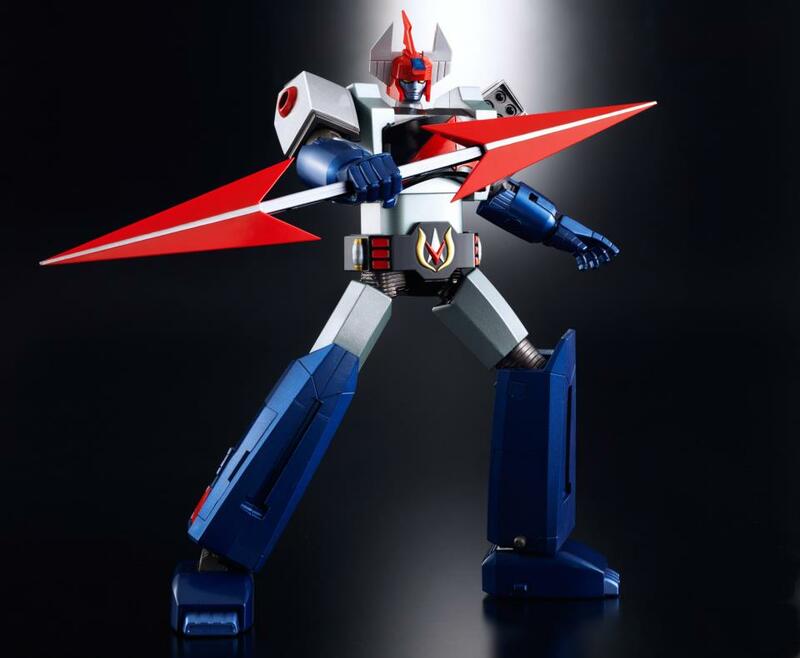 A full array of accessories and gimmicks allow for recreation of various anime action sequences: Figure is capable of transformation to Satelizer Mode and set features accessories for Cosmo Arrows with transformation capability to Double Shaft weapon. 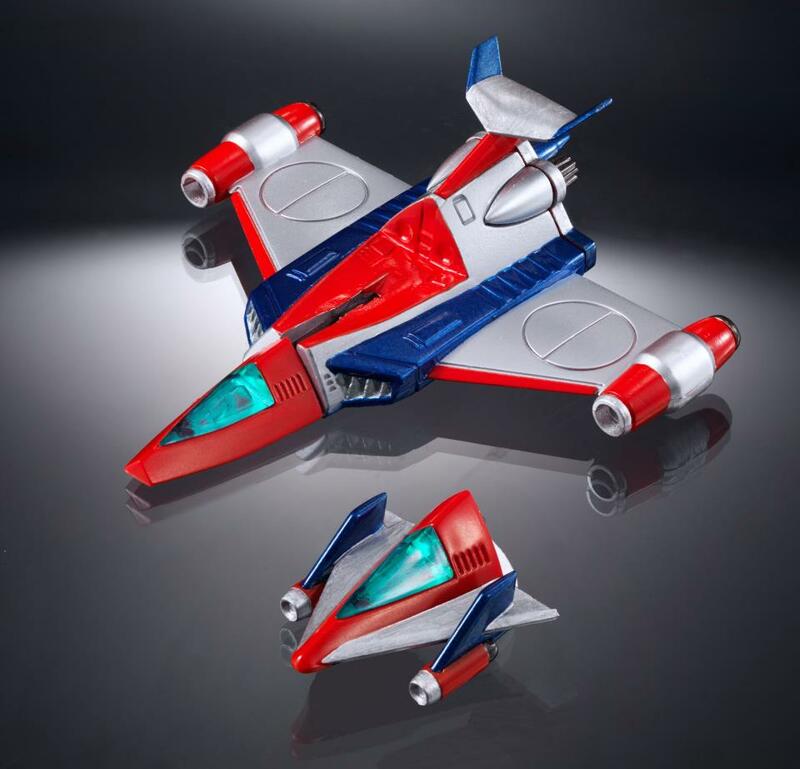 Also included in the set are Sky Arrow with single and double cockpit options, as well as two types of Guard Launchers (transformable and non-transformable) that can both be attached/detached to engine unit. The wealth of accessories included in this deluxe set can be displayed and housed in a deluxe display stand. Update: New magazine scans showing both the anime accurate and perfect transformation Satellizer modes. 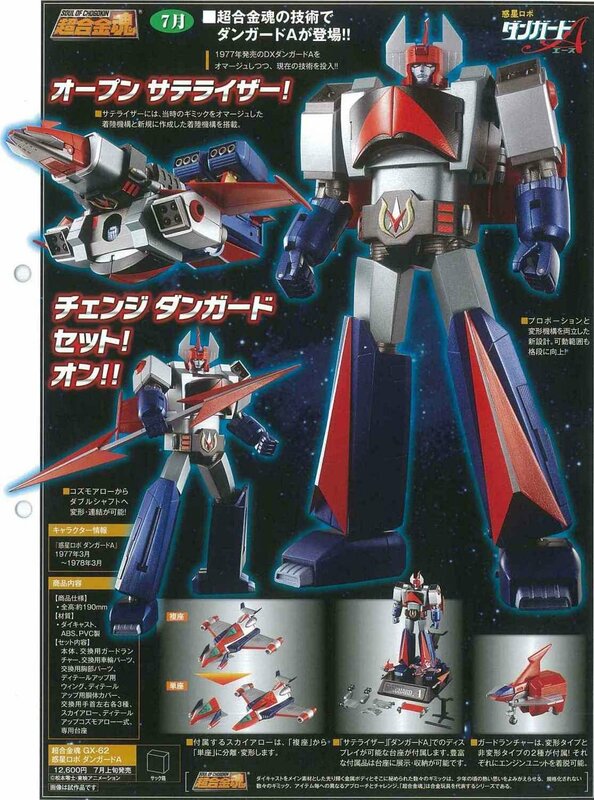 The Soul of Chogokin Danguard Ace can be preordered at Big Bad Toy Store. Dang. Looking at this makes me want to not only buy it, but to completely restock my long sold SOC collection. My SOC collection was never extensive, but I held on to all of them. 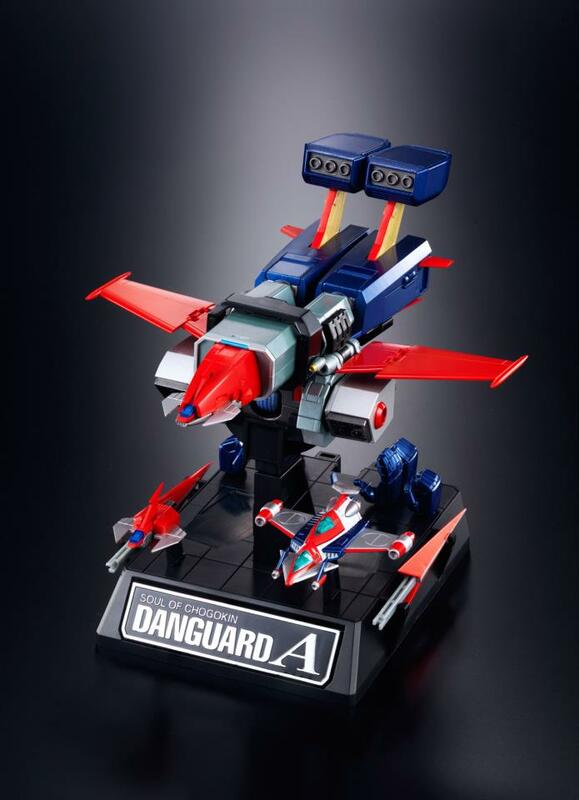 And a nice, diecast Danguard was always on my wish list. I haven't purchased an SOC in ages, but this is probably going to be a must-buy for me. At 19 cm it will stand about as tall as the SOC Reideen. Now we need an little SOC Combattler and we'll have the Marvel Comics Shogun Warriors Team! But I want this in my Robot collection!! 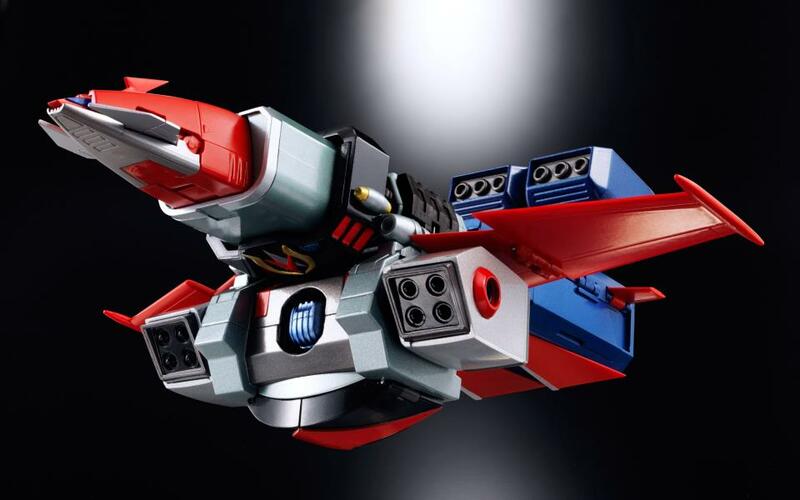 Will we ever see a Voltron lion or a Voltron vehicle version? Finally! I missed the Yamato one so I am psyched to get this guy. Funny I was changing jobs a year ago and stressed out. 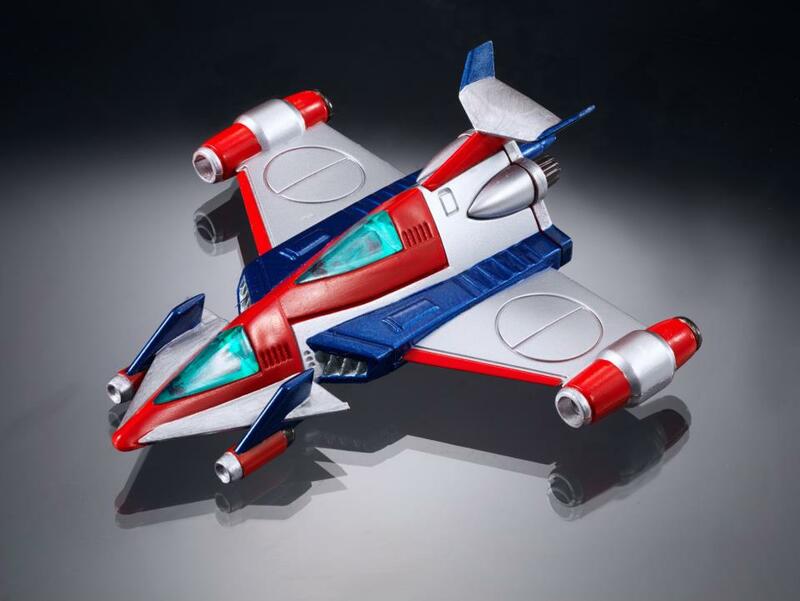 I bought the SOC Grendizer re-release to distract me and I just spent the last 12 months building out the SOC Colection. Which then ended up including the CM, SOC Super Robot Collection as well. Needless to say I am broke and extremely happy to be adding this to my collection, I am so glad SOC is still running coming so late to the game.